Our Customer Engineer Dispatch (CED) system, which grasps Customer Engineer’s availability, their skills and their current location, requests directly CEs for handling customer’s incidents. The system enables us dispatch CEs without contacting persons at an administration office and as a result, shortens delivery time for 50 minutes on average. Automatic choosing a prompt CE for handling customer’s incidents, checking CE’s availability, skills and current location in parallel. Sending an incident No., detailed information, and location to CE’s mobile devices. A CED console enables us for checking CE’s current location and his destination. Shorten delivery time since an incident is occurred until a CE arrival at a destination. Minimize running time for CEs to be ready for an incident. Reducing jobs at an administration office for CE dispatch. Mitsuiwa has been building total IT services from planning, implementing to support to meet customer’s needs in a proactive way through 50 years since its establishment. 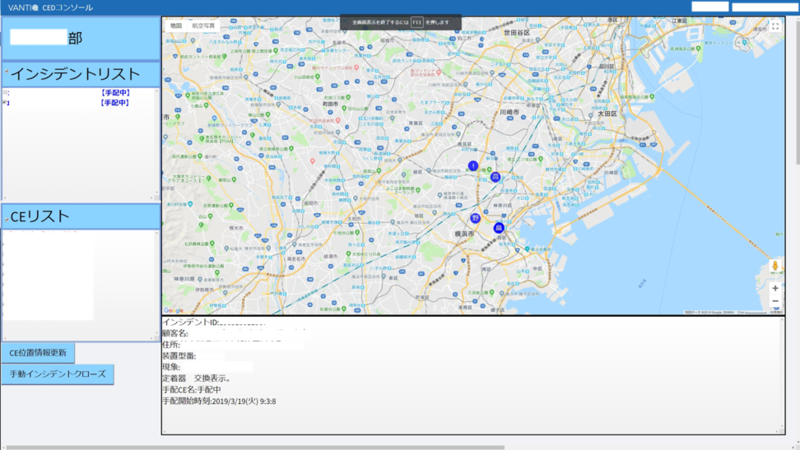 With the combination of VANTIQ IoT platform and its comprehensive services, Mitsuiwa will try its best to help business users in developing IoT projects by providing rapid application environment and support for development and operation.